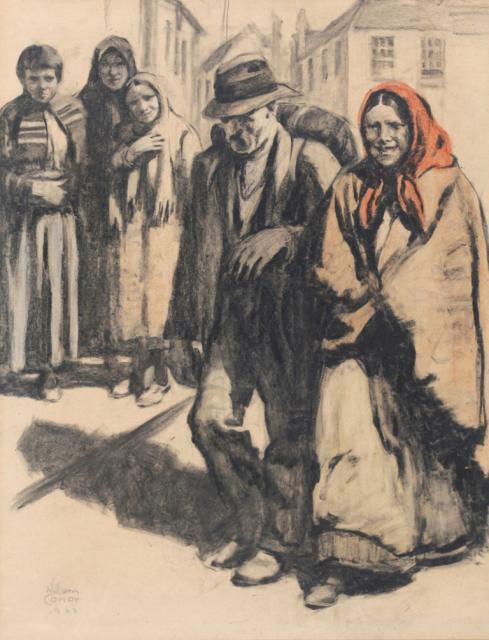 The catalogue cover lot for Dolan’s two day sale in Ballyconneely, Connemara on Bank Holiday Monday August 6 and on the following day is a cheerful pastel and charcoal portrait by Sean Keating (1889-1977), Fear agus bean an Oilean is estimated at 25,000-30,000. Born in Limerick Sean Keating studied under Sir William Orpen. He won the Taylor Scholarship in 1914 and went to visit the Aran Islands with Harry Clarke. This was a turning point in his career and the islands and their inhabitants became the subject of many of his works. 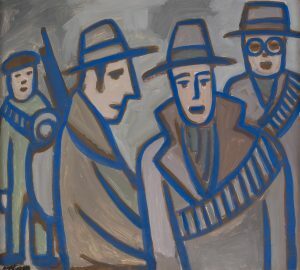 He exhibited at the Royal Academy and the Royal Hibernian Academy and represented Ireland at the New York World Fair of 1939. Dolans art and antique auction is to be a marquee sale in Ballyconneely. Viewing there gets underway at noon on July 29 and continues until the start of the sale at 12.30 pm on August 7. The Red Scarf by William Conor made 10,000 at Dolan's. The Red Scarf by the Northern Ireland artist William Conor (1881-1968) was the top lot at the Dolan’s summer Irish art auction at Ballynahinch Castle, Connemara, Co. Galway on August 3. It made 10,000. The artist is celebrated for his portrayals of working class life in Belfast. 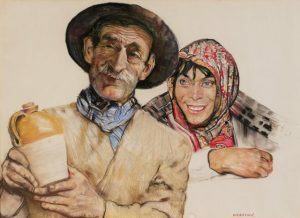 The Red Scarf, a wax crayon on paper piece, is signed and dated 1922. It was estimated at 10,000-12,000. The Ulster Museum holds more than 50 works in crayon and watercolour by William Conor. 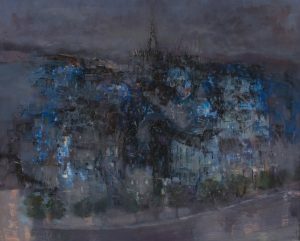 He exhibited in London at the Royal Academy in 1921 and in Dublin at the Royal Hibernian Academy from 1918 to 1967. He was awarded an OBE in 1952 and was president of the Royal Ulster Academy from 1957 to 1964. 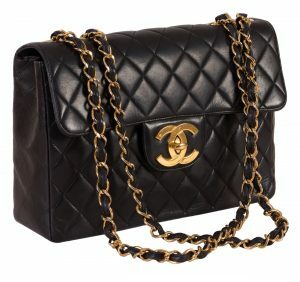 The auction was over 80 per cent sold and the majority of the most expensively estimated lots found buyers. 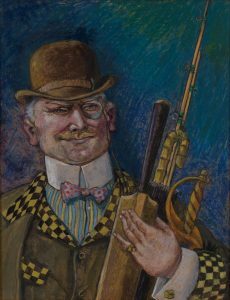 See antiquesandartireland.com post for July 26.